We provide an update of strategy performance so far in 2019, portfolio changes and positioning, as well as our thoughts on the mismeasurement of “Value” as it is commonly discussed and what we believe to be underappreciated risks embedded in low beta stocks. We relate Buffett’s recent comments on book value to our own investment process and make the case that investors buying a “value” index might, unintentionally, simply be taking on exposure to asset-intensive sectors rather than truly under-priced securities. 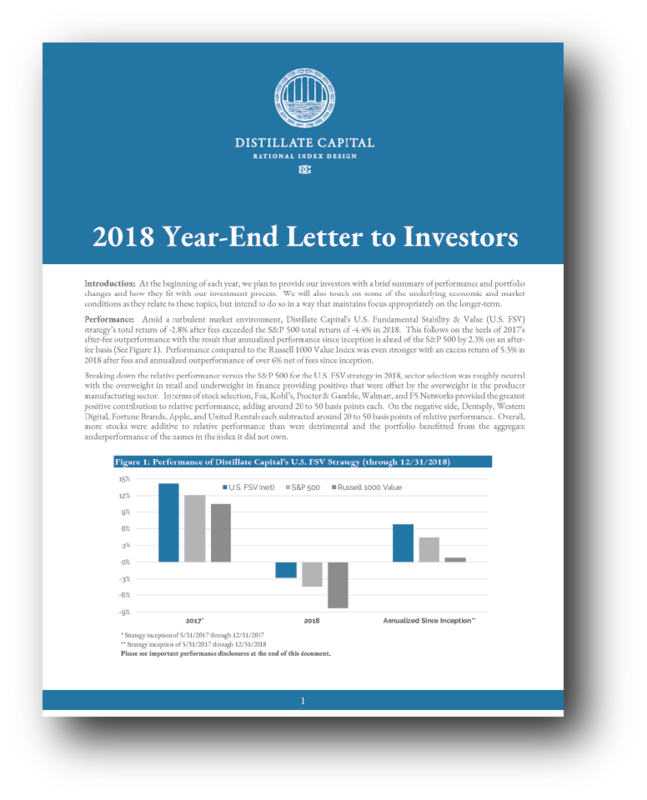 Our annual review of performance, recent changes to our portfolio, and comments on the outlook for equities in the years ahead. 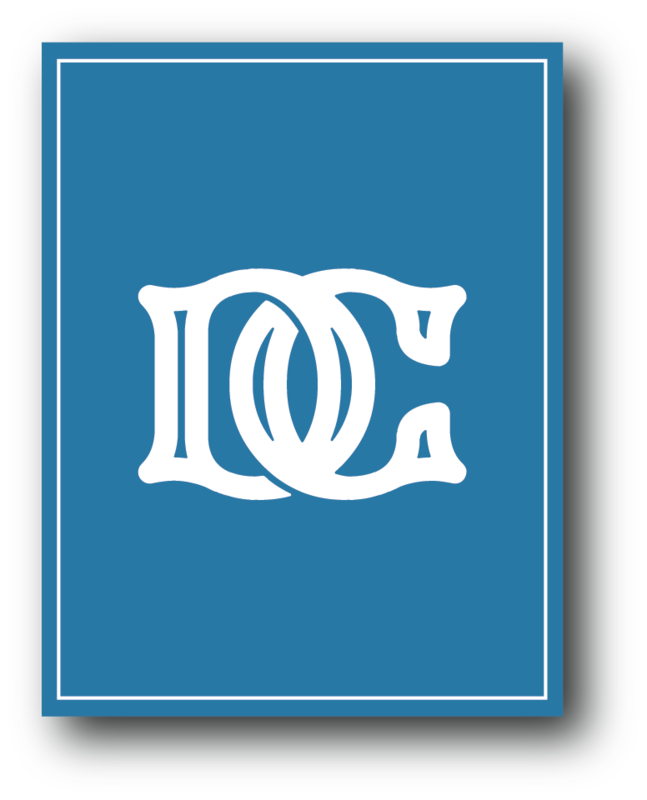 Adhering to long investment time horizons is easily said but more difficult to do. Emotions and behavioral biases work to erode the otherwise attractive returns offered by equity markets when evaluated over multi-year periods. 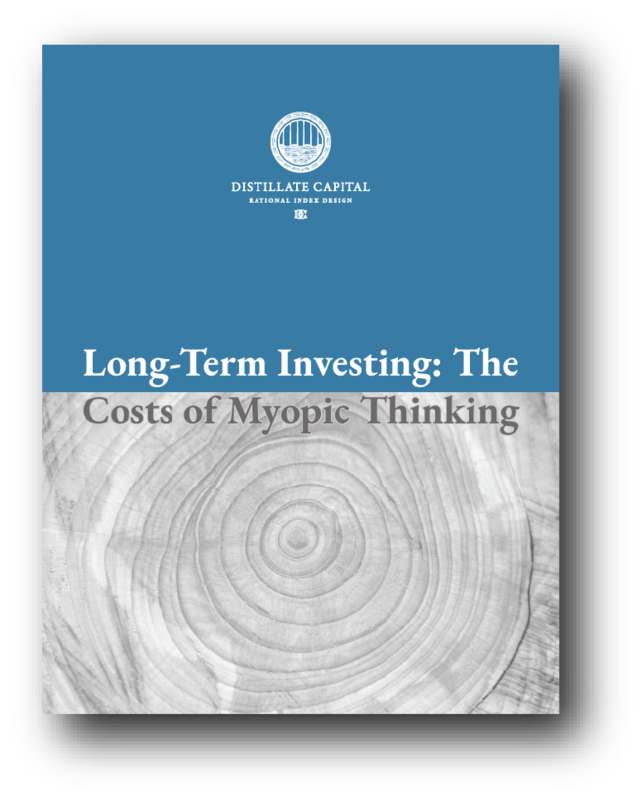 Properly framing comparisons between equities and other assets—like bonds—can help investors avoid the risk of falling short of return objectives. The group of stocks known as the FAANGs (Facebook, Apple, Amazon, Netflix, and Alphabet) have garnered significant attention from investors and market pundits—often painted as a homogeneous, overvalued set of stocks. However, we see the FAANGs providing a good example of the shortcomings of traditional valuation metrics. 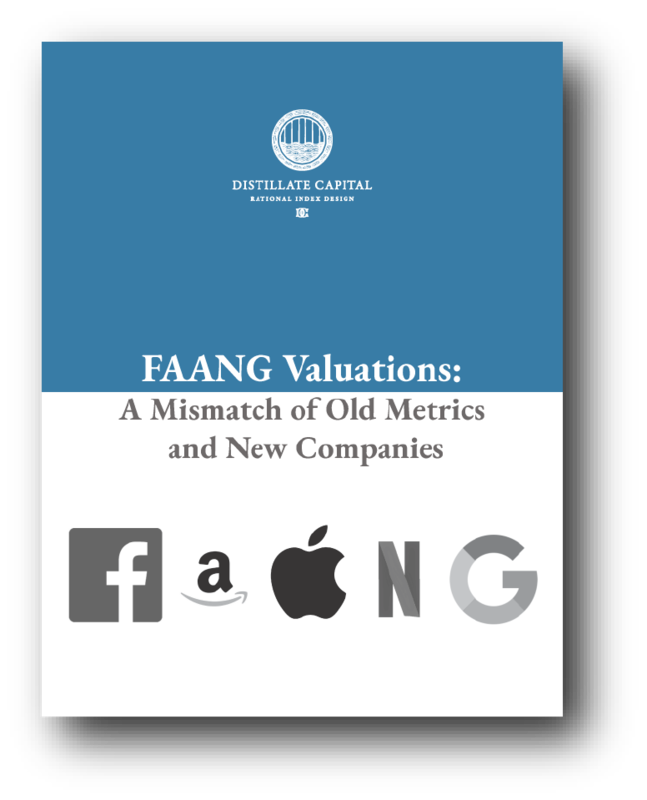 Using our distilled cash yield methodology, a more nuanced view of FAANG valuation emerges. Investors should consider investment risk as defined by an investment’s fundamental stability, level of indebtedness, and valuation, rather than simply its short-term price volatility. 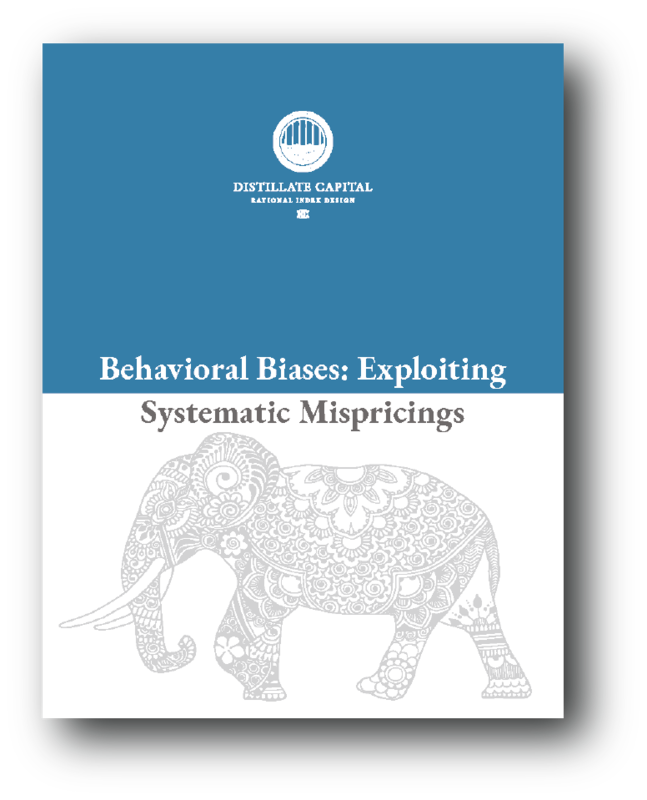 Deeply rooted behavioral biases can offer exploitable opportunities for a thoughtfully designed, systematic investment approach. The composition of the economy and stock market has shifted from physical assets to intellectual ones. This change has significant implications for traditional valuation metrics, requiring a new approach. Distillate Capital is built on a few core ideas gleaned from our decades of value investing experience and from the wealth of information and ideas emanating from the rigorous studies of accounting, behavioral finance, and risk management.